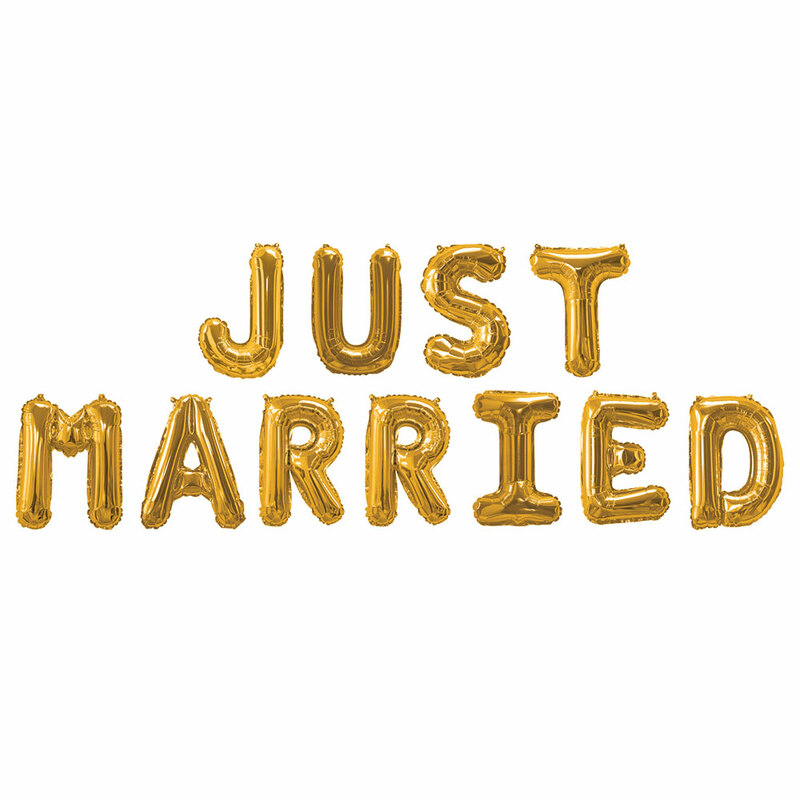 DescriptionThis ""Just Married"" balloon bunting with beautiful gold finish is the perfect eye-catcher for your party. No helium is needed to inflate these shiny 16"" balloons. Each pack includes 11 balloons, spelling JUST MARRIED, a straw for easy inflation and ribbon, size: 405mm, 16"". This ""Just Married"" balloon bunting with beautiful gold finish is the perfect eye-catcher for your party. No helium is needed to inflate these shiny 16"" balloons. Each pack includes 11 balloons, spelling JUST MARRIED, a straw for easy inflation and ribbon, size: 405mm, 16"".